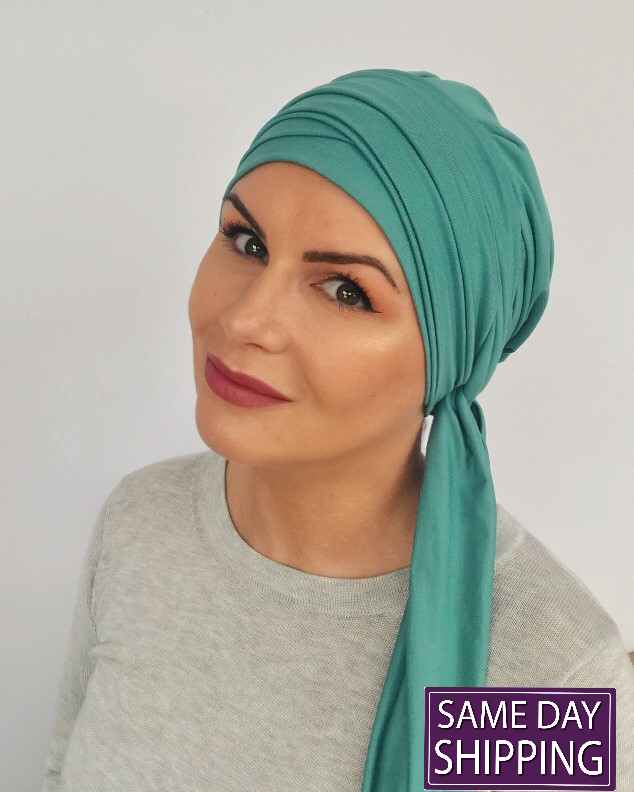 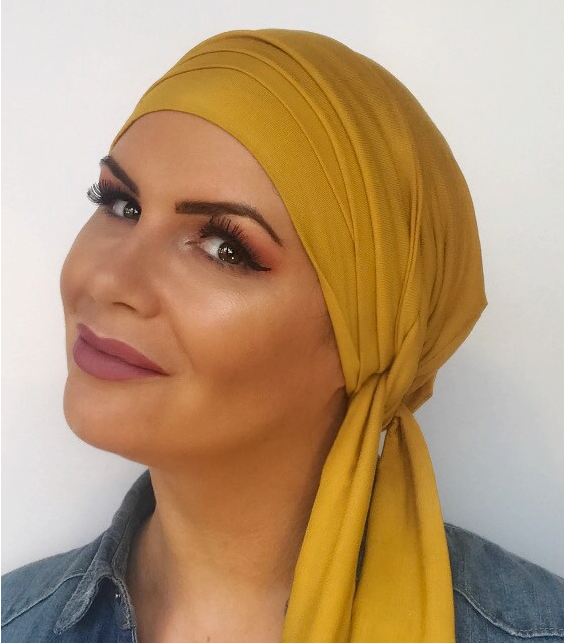 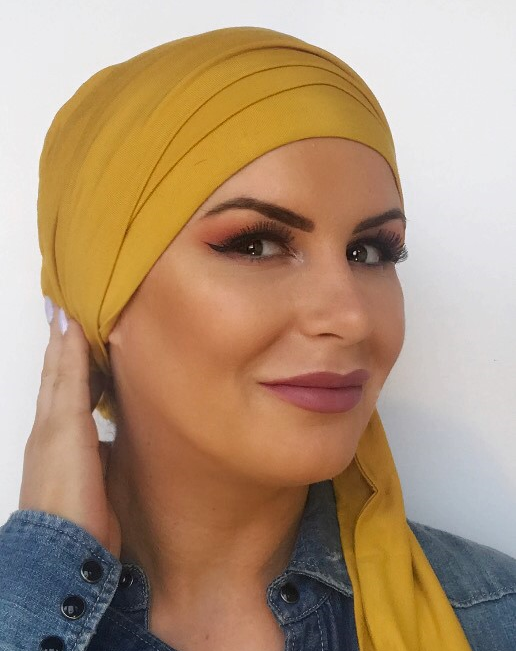 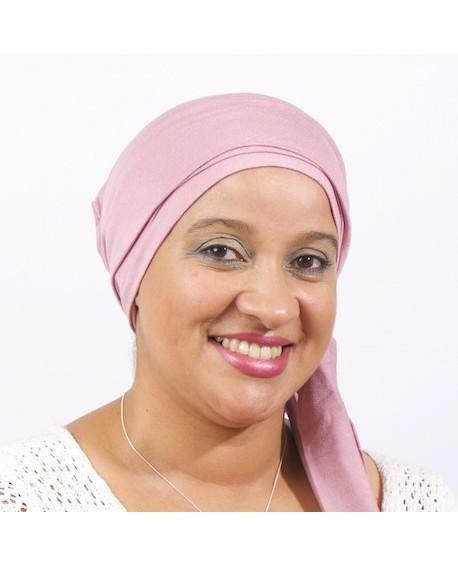 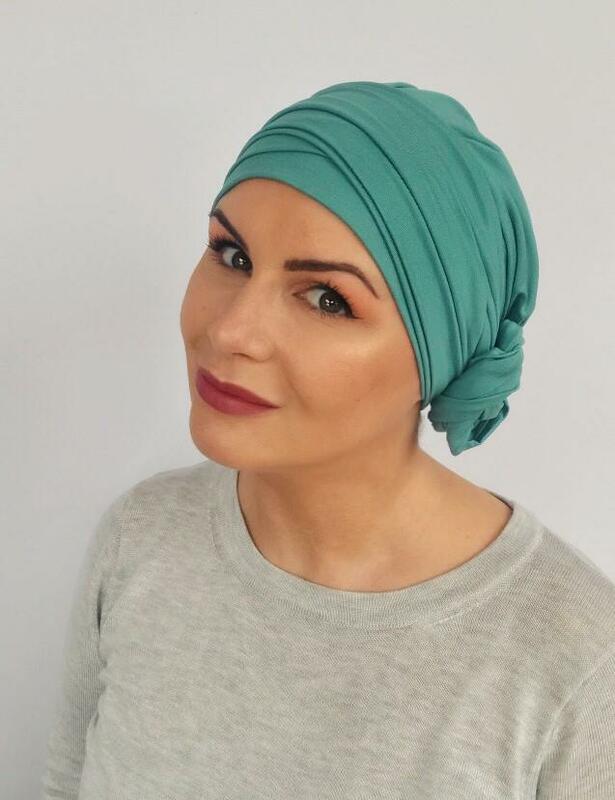 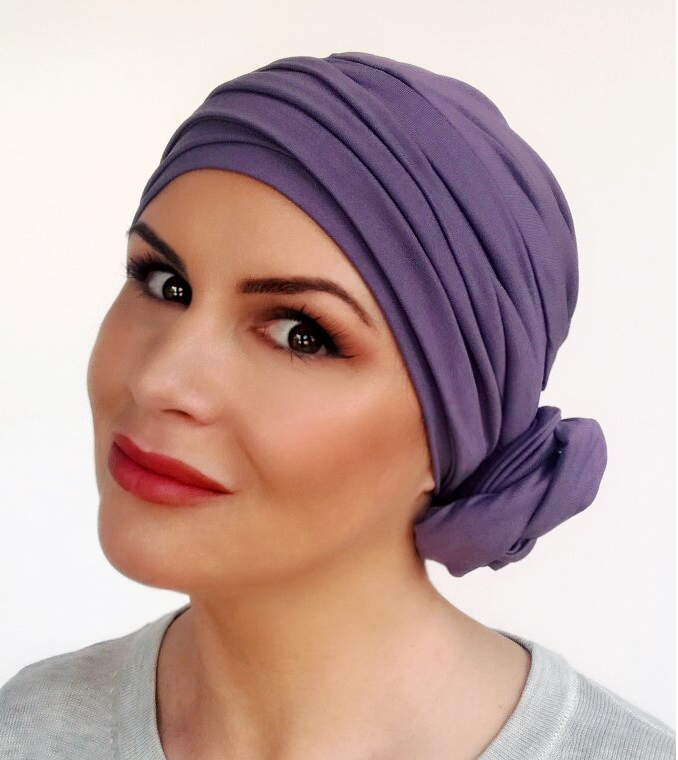 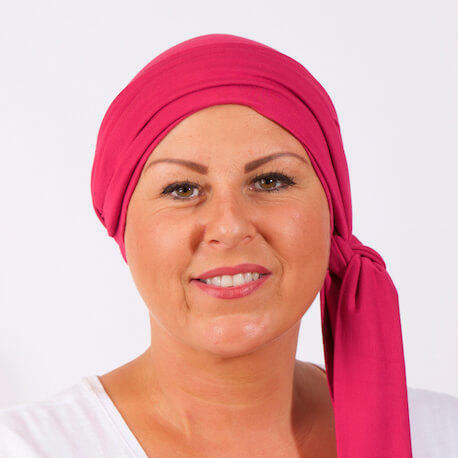 Beautiful long tailed plain cancer headscarf in several colours. 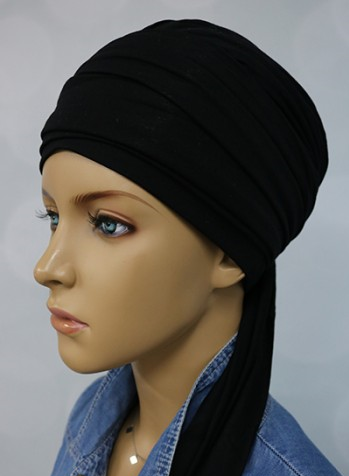 Hassle free and easily dressed up or down. 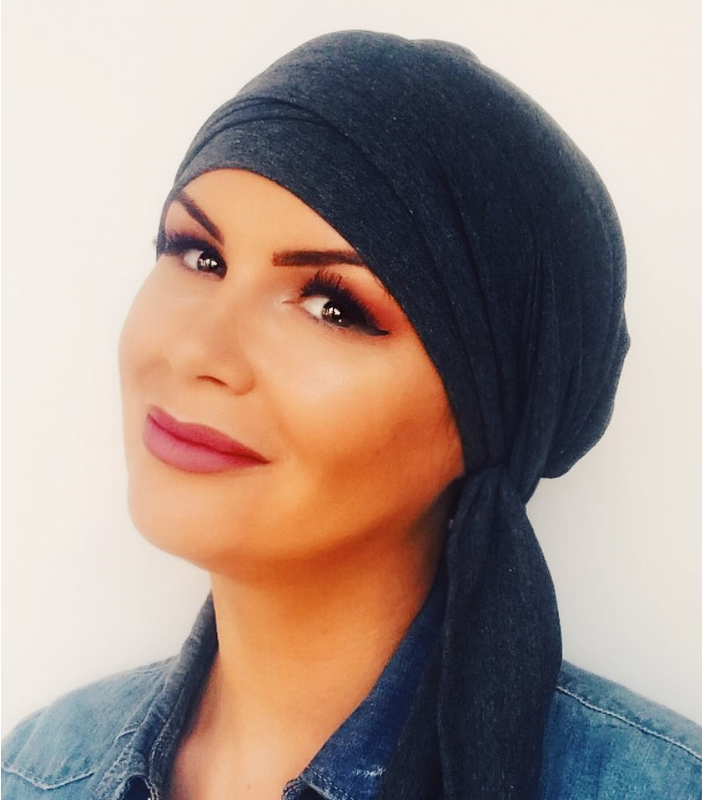 Volume provided at the head to disguise hair loss. 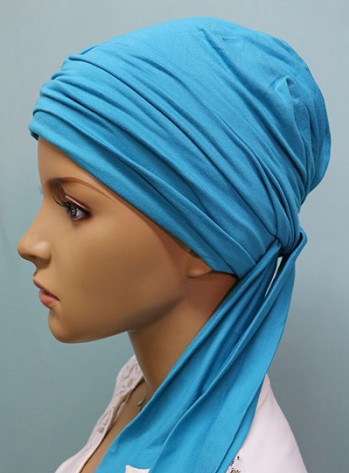 Can be worn with ties to hang or be as creative as you like. 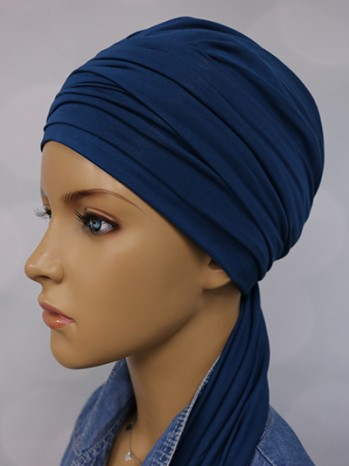 Comes with a preformed head which makes this a simple pull on and tie style. 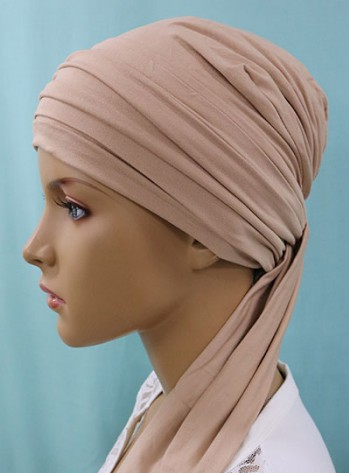 All scarves are fully lined so will not cause any irritation.